Evil is live spelled backwards. The protagonist of a novel represents life; the villain, anti-life. How do you develop, strengthen and revise this important character? Are Villains limited to Folktales and Mock-Victorians? It may seem that the term villain is outmoded. It applies only to folktales (monsters, witches, ogres, evil wizards) or to Victorian (Snively Whiplash) or outdated stories (outlaws like Jesse James). Contemporary antagonists tend to be more rounded, less patently evil. But editors insist that villains still populate contemporary books. Rich says, “I edited Homeless Bird, by Gloria Whelan, which is contemporary fiction set in India. The mother-in-law in the story has much in common with Count Olaf. She’s wholly villainous, wholly self-absorbed. She holds the power to undo the hope for the life of our protagonist.” Adding a villain character to a novel does help make the story more powerful: Whelan won the 2000 National Book Award for Young People’s Literature for her novel, Homeless Bird. 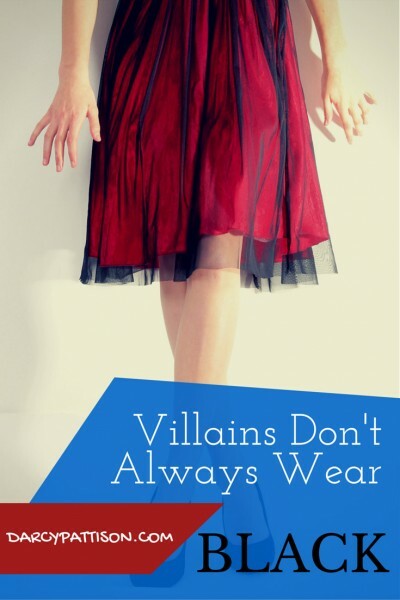 Villains are bad guys who function in novels to escalate the conflict. But how do you create a convincing villain? When you create a villain, you want the reader of your novel to feel antipathy toward that character, rather than sympathy. To do this, you use the same tools that you use to characterize any character. Give the character a convincing backstory that explains motivations, then personalize them with depth and variety. Why is this character ignoring society’s standards of morality and doing something that is considered evil? Without this information, you run the danger of losing credibility in the story. Because of her experience editing Count Olaf, Rich doesn’t agree that you must include specific motivations in every novel about a villain. “Resist the temptation to make him or her sympathetic. It’s not necessary. We don’t need to learn that the villain has a soft spot for puppies. That waters them down, rather than strengthens their character.” Count Olaf is a pure villain, through and through. And that is precisely what makes him a wonderful character. The decision to include specific motivations or not must depend on the type novel you’re writing, and the specific needs of that story. Lemony Snicket’s stories are sort of mock-Victorian and following the Victorian tradition of melodramatic villains, he gets by with a pure villain. But even Holes, a modern-folktale story, requires a more developed villain. “I think the main danger with a villain,” Fleischman says, “is going over the top. It’s easy to have him twirl his mustaches too much and chortle and sneer too sneeringly. You gotta make him believable. The villains in my novels chew up the scenery a bit more than others. I get away with these touches of whimsy because my novels are comedies.” In other words, avoid cliches and melodrama. Above all, credibility is the key to creating good villains. Within the story being told, this villain’s evil ways must be appropriate. 30 Days to a Stronger Novel.